The actual start of the conference and what a day it turned out to be. It began early at 02.00. I woke up after just two hours of sleep (the jet lag hit me) and I was wide awake. At three I decided to go down to the casino with $100 in my pocket and I played black jack for half an hour. And it paid off. I’m not a gambler at all. It is my second time in Vegas and it was my second time in a casino. 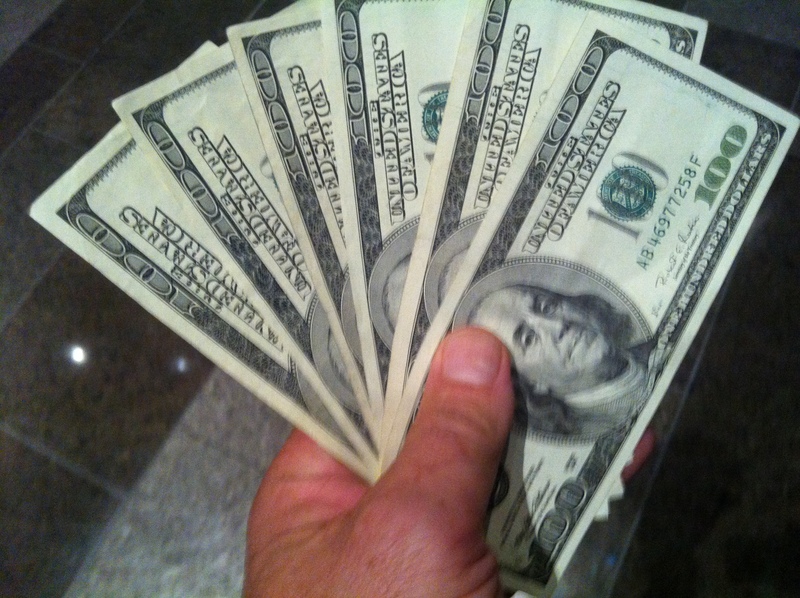 The previous time I won $1200, so it is Las Vegas 0 – Kasper 1700! I went back to my room and did some work, at five I discovered that my colleague Chris was awake to. We went for some coffee and went to the gym. Then I went to my first session of the day. At Guild conferences you have so-called Morning buzz sessions, they start at 07.15. Crazy initiative, but it works. I went to the session of Charles Jennings in the management track. It was about governance, how do you connect your learning department to the business. His main point was that you should have a sort of board who makes decisions about the ‘What’ of the learning. He told about his experience as a CLO at Reuters where they had a board with business leaders, HR and Learning. He told that he did some research and found that about 50% of the companies have boards like that, but only 12,5% of all companies had business stakeholders in that board. His point is that you should have them. We discussed about the experiences of other attendees and every interesting point was made by Jay Cross. He said that you have to do a performance analysis instead of a training need analysis. That way you can tie the learning better to the business. Sounds logical to me. Then it was time for the opening and the keynote by Michio Kaku, I had really high expectations because the keynotes I attended at the guild conference in Orlando where of an exceptional high level. He disappointed me. Michio Kaku is a theoretical physicist and basically he told us that computers would become so small in 20 years time and so cheap that they would be everywhere (but invisible) and completely change our live. Instead of computers you will have contact lenses that will connect you to the internet and project relevant information into the real world (augmented reality). His talk didn’t bring me any new insights. Clarck Quin made a mindmap of this presentation, so you can check that out. After the keynote the expo opened and we where flooded by people who wanted to know more about easygenerator. This interest continued until the expo closed (at 7.00), we worked our stand with the four of us and it was hectic. We got great responses and great interest in easygenerator. Hopefully this will lead to loads of new customers. At 9.30 Bill Brandon published his article about easygenerator in the Learning Solutions Magazine, great stuff. I will let him interview me any time he wants. At 12.00 we had a product presentation at the big stage in the expo. It was supposed to be presented by my colleague Chris and Dan Richards (of our US partner Advantage Interactive). But yesterday evening Dan became ill and had to go home. We decided that we would improvise and I got on stage and did a demo of easygenerator. I think it worked out OK.
At 2.45 I had my session on Outcome Learning, there where about 35 people in the audience and I really enjoyed sharing my ideas. It was the first time I presented about this in public and I got good responses. All sessions are evaluated by the audience, it will be interesting to see how I actually did in their eyes. I tried to embed the Prezi, but I didn’t succeed. So here is the link to it. It was so busy at the stand that I completely missed the second keynote of the day by Tom Koulopoulos. The title was Living and Learning in the cloud. I’m sorry that I missed it. Clarck made another mind map of the presentation. What I understand from the mind map that he focuses on the effect of the cloud on behavior and not on the technique. Sounds interesting enough. I will buy his book and tell you later what his story is. At the end of the day I was invited to an informal dinner with some interesting people. I enjoyed a good dinner and dito conversation. I was back in my room at 23.00 and dived straight into bed. I woke up at 04.00 and wrote this post. The gym will open at 05.30 I will go there and have a good start of day 2.